Reigning League Champions Kilkenny led Clare throughout on the way to a five-point home win over Clare in Callan. Denise Gaule and Michelle quilty helped the Cats to an early 0-2 to 0-0 lead, before Roisin Begley opened the visitors account. The sides were well balanced over the remainder of the opening half, but a 31st minute Denise Gaule penalty goal helped Kilkenny to a 1-6 to 0-3 interval lead. Wind assisted Clare worked hard on the restart, and indeed outscored the hosts over the remainder of the hour. Amy Keating was among those who worked hard for the visitors, but Kilkenny had laid the foundations for victory in the opening half, and held out for a five-point win. Limerick began 2019 on a bright note, as they edged Offaly in a closely contested affair at St. Rynagh’s GAA Club in Banagher. The visitors had one change to their starting line-up, with Sophie O’Callaghan replacing Niamh Mulcahy in attack. Limerick took an early 0-3 to 0-1 lead, and despite a determined Offaly display, wind assisted Shannonsiders edged a 1-6 to 0-8 interval lead. Caoimhe Costello was superb from placed balls throughout, as Limerick held out for a two-point win. 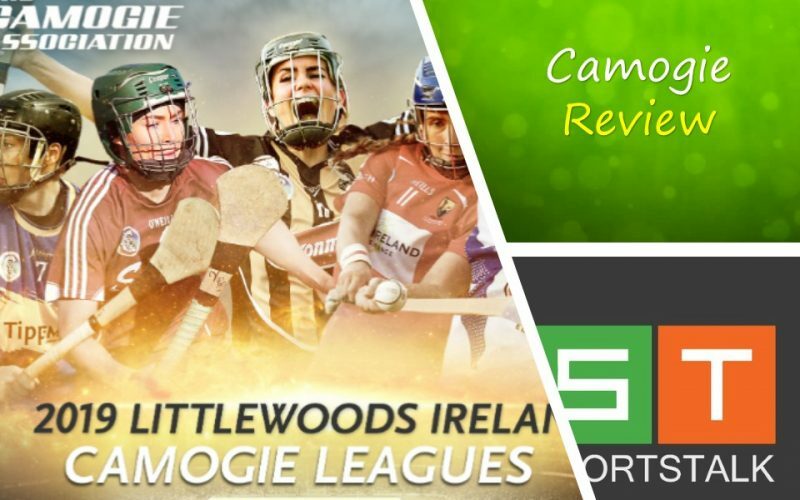 All-Ireland Champions Cork got off to a winning start in the Littlewoods Camogie League, thanks to a strong finish at the Ragg. Tipperary edged a 0-5 to 0-4 interval lead, in a game which was streamed live to thousands of viewers. The sides were twice level in the third quarter, with the game tied at 0-6 apiece with 15 minutes remaining. Cork dug in and scored four of the final five points on the way to a hard-earned victory. Beth Carton starred as Waterford claimed an eight-point win over South East rivals Wexford at St Patrick’s Park, Enniscorthy. Carton fired nine points over the hour, with Sarah Leahy scoring twice on her Senior debut in a game where just two points separated the sides with 20 minutes remaining, before Waterford held their counterparts scoreless over the remainder of the game. Waterford led by 1-7 to 0-3 at the break before an Anais Curren goal brought Wexford back into contention. However, Waterford dug in to ensure an eight-point win, and with it topping the group on scoring difference after the first round.